Recently I met a woman who told me that she intended nominating as a Councillor for Unley Park Ward, City of Unley - that's the Hyde Park and Millswood areas. She displayed enthusiasm and had a passion for the local community. After a brief chat, my assessment was that she would make a good Councillor. Her success would boost the % of women on Council. She asked about the commitment required and the number of hours per week. Some Councillors put in more effort than others. It's a personal commitment and dependent on work and family commitments. Some slow down after elected as the work load increases beyond that expected. There are 12 Council meetings per year, one per month, on a Monday. They run for 2-5 hours. There is usually 2-3 Special Council meetings a year. Another 12 Council meetings are tentatively scheduled fortnightly, just in case the monthly agenda gets over loaded. Work on an extra 4-6 fortnightly (mid month) Council meetings. Recently I noticed a huge truck with a huge trailer carrying excavated soil from the former Annesley College site. It exited Bartley Crescent the wrong way out onto Greenhill Road. In doing so it mounted the footpath. Lucky no one was entering Bartley Cresent from Greenhill Road. Since then I have received a call from a resident about another truck making the same exit. I reported this matter to Council Administration who then held urgent talks with Resthaven (the site owner) and Badge (the site developer). Assurances have been given that it won’t happen again. This development will be ongoing for 9-12 months and we need to ensure that there is minimal disruption to the local Wayville community. 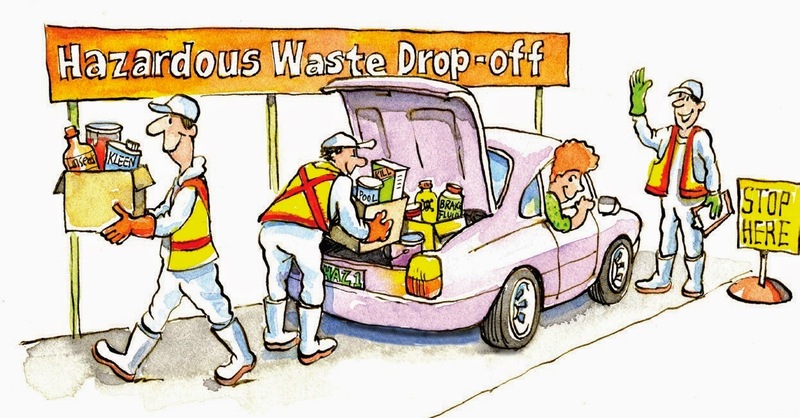 On Saturday 01 November (9am to 3pm) there will be a free Hazard Waste Drop-off at the Wayville Showground, enter from Rose Terrace. This has been arranged by Unley Council. Residents will receive information in their letterboxes. Here are further details to help you prepare. AC/DC is just so Australian; simply a classic. When classical cellists (people who play the cello aka. chello) play an AC/DC song it is a mighty recognition of a great band. Here is a link to a video showing 2 Croatian cellists (a duo band called 2CELLOS) playing Thunderstruck. It is sad news that Urban Myth (the youth theatre group) is about to initiate voluntary liquidation. It is financially unsustainable with a mountain of debt. Finding funds and grants has become too difficult. Urban Myth has been a part of Unley for 30 years. They used to be housed in a modest cottage on the Village Green behind the Council Civic Centre. I remember attending Shakespeare plays held outdoor on the Green. A few years ago they moved to a larger and more expensive accommodation at the Goodwood Institute (on corner of Victoria Street and Goodwood Road). Last year, Unley Council provided an interest free loan of $30k. It just didn’t work out. The business plan didn’t work. The Council Meeting last night became quite heated during debate on whether or not to have a picket fence around Unley Oval. A lot was said that shouldn't have been said. The decision was Yes with a vote of 8 vs. 4 (against). For the record, I voted in favour of the fence. Having gates every 50m helped to convince me. I believe that based on the submissions received, it was the right decision. Unley Council has been working with other eastern inner city councils on documenting the available public transport network. You might ask why. I did, but the results are pleasing. There is a lot of information available, for example options for Seniors and how they can get the most out of their Senior's Card. The councils have developed a website called The Eastern Metro Community Passenger Network (CPN). This project was funded by the State and Commonwealth Governments. It is a central point of contact for people in the eastern region seeking transport options and information. It may sound a bit uninteresting, but trust me you will find useful information. I was asked by a resident in Forestville when the diesel trains to Noarlunga would be 100% replaced by electric trains. Currently there are 6 three-car sets of electric trains.There will be a further 16 electric trains delivered by July 2015. I've had feedback from residents living along the rail line that the train noise is slightly reduced. When we have 100% electric it will be a lot quieter, except for residents living on the Belair/freight line. By the way, some of the more modern diesel trains will be converted to electric to extend the life of the carriages. It's also a cheap way to have a few spare trains ... just in case. Now that site works are under way, residents have approached me to ask what is happening on the former Annesley College site. Annesley College was located on the corner between Rose Terrace, Bartley Crescent and Greenhill Road @ Wayville. The construction of an office complex, part two and part three storeys. A total floor area of 2691 square metres. A two way internal driveway, with provides access and egress from Bartley Crescent and Greenhill Road. A basement comprising 58 car parks with a 6m wide ramp parallel to Bartley Crescent, 16 bicycle parks, a lift, stairs access and a rainwater tank. 40 car parks at grade plus 4 bicycle parks. Landscaping for the whole site. There will be plant rooms on top of the building. A 1.1m high fence along Bartley Crescent and Rose Terrace. Buffer zone along Rose Terrace. The 3 storey part of the development is 13.75m high. One resident objected to the development. Here is some breaking news about dog poo. The City of Unley now permits and encourages placing dog poo in the green organic waste bin. In the past it has not been allowed. You are encouraged to place all pet waste (including pet hair, kitty litter and dog poo) in the green bin. Mix it in with lawn cuttings, prunings and leaves. The only down side is the lingering odour so wrap it in newspaper or a compostable bag. Do not use a plastic bag in the green organic bin. Warning, do not put dog poo in a home compost bin. It doesn't generate sufficient heat to kill bacteria. For the past 15 years I have been the Newsletter Editor of my local Neighbourhood Watch (now called Watch SA). The area includes Forestville and Everard Park. We meet every 3 months and have some fantastic guest speakers. The newsletter is distributed to all residents in the area. A local has asked me to publish the newsletter on my blog. Attached find the August newsletter. As a local Councillor I've had a few interesting requests for assistance from residents in Wayville, Goodwood, Forestville and Everard Park. Last weekend I was contacted by a local who I'll call John. I visited John and heard his story. His neighbour was doing what many people do viz. collecting snails from the backyard. Usually they squash them or dispose of the snails by some other means. Instead, the neighbour was tossing the snails over the the side fence and onto John's manicured lawn. John wanted me to do something about it. He wanted the Council to intervene or perhaps get the Mayor onto the case. I explained that it was a civil matter and neither the Council nor the Mayor would be able to assist. 1. Talk to the neighbour about the matter. No, he wouldn't do that. 2. Buy a couple of ducks to free range in his yard. Ducks love snails. No, he didn't want any ducks. He didn't want duck poo everywhere. A few weeks back, I was the keynote speaker at a youth gathering in Everard Park. Actually, I'm romancing a bit. It was my son's 21st birthday and I had to give a speech. We had 70-80 youths around to celebrate the event. I was instructed what beverages to buy. On the list was Passion Pop, a sparkling fizzy sweet wine based drink. When trying buy some, the local bottle shop informed me that the manager had banned it because they didn't want to tarnish their reputation. After some negotiation, it was agreed that they would order in a dozen. 21 years ago I bought a case of vintage port to keep until my son was 'of age'. That was what we did back then. It was traditional. I opened a bottle to try on the night. Surprisingly, the cork was in very good condition. The vintage port was absolutely superb. I would say that it has many years to go. At a 21st it is tradition for the father/parents to give a speech. At the intersection of the tramline and Leah Street, Victoria Street and Aroha Terrace ... this area will be planted with trees and shrubs (mostly shrubs) starting next Monday 18 August. This will soften the blow of the current barren landscape. I have been campaigning for this over the last 12 months (hhmmm, maybe longer). It was devastating to lose that last tree that had potential to overhang the power lines. With the warmer weather and spring approaching, it should look good in a few months. I encourage local residents to adopt the plants and help provide extra watering. Maybe the nearby shops could get involved. Goodwood Oval / Millswood Sporting Complex Improvement Plan The information is now on the Council website. Council endorsed the plan on 11 August 2014. The plan is a master plan and details future development and enhancements. It will be used to help secure external funding. It's a good outcome. It will guide enhancements over the years to come. Use this link to view the final plan, council report and FAQs: http://www.unley.sa.gov.au/page.aspx?c=32901. The key component of gardening is getting the soil right. It varies suburb to suburb, street to street and back-yard vs. front-yard. For the enthusiast, why not consider attending a workshop to learn the secrets. Here are the details (extracted from an email I received) … Understand your soil to make a good garden great No two gardens have the same soil profile. Understand how soil works to unlock the secret to great gardens at the Botanic Gardens of South Australia’s The Answer Lies in the Soil Master Class on Sunday, 7 September. Join expert gardening columnist and consultant Malcolm Campbell in this practical, hands-on Master Class to learn about: ·soil pH, nutrient buffers, water quality, salinity, nutrient uptake, local deficiencies and remedies ·soil types and textures and how to identify your soil profile ·the best resources to aid home gardeners ·potting media and caring for potted plants. The month long South Australian Living Artists (SALA) festival has started. Unley plays a pivotal role in promoting SALA. 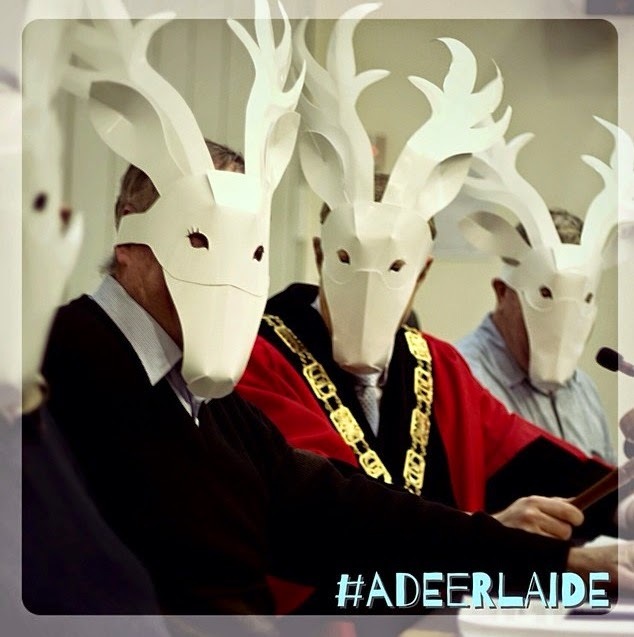 As a promotion for SALA I was asked to don a white deer mask at a recent Unley Council meeting. It made the night that much more interesting. See the attached photo. I was joined by Councillor Peter Hughes and Mayor Lachlan Clyne. The initiative of white deer masks is the brainchild of filmmaker Chris Warman. He has been roaming Adelaide and asking people on the streets to wear a white mask and be photographed. So far, no-one has declined. ps off to the side, out of view sits Councillor Anthony Lapidge with his white deer mask. He's from a different herd and didn't want to sit with us. I have decided to run again as a Councillor for Goodwood Ward in the City of Unley Council elections to be held in Oct-Nov 2014. With the elections approaching, I thought I should declare now whether or not I was running. UNLEY councillor Bob Schnell will re-run in Goodwood ward against high-profile candidate Gill Hicks in the November council elections. "I am encouraged by support given to me by residents in Wayville, Goodwood, Forestville and Everard Park," Cr Schnell said. It’s amazing how the media has presented the news as me running against Gill Hicks. Isn’t it the other way around? The reality is that come the election all candidates will running against the others. In Goodwood Ward (and all other wards across Unley) there are 2 positions of Councillor. As one of the current Councillors I have worked hard over the past 4 years and have runs on the board and I want to keep batting. Recently I took a short break in the outback. I travelled to Andamooka with my son for a few days. It's along drive, but a rewarding reality check on what are the real priorities in life. My son drove part of the way. I taught him to give a finger wave to oncoming motorists. Actually, the type of wave is rather personal and there is etiquette involved. Usually one finger, palm side facing the traffic. Two fingers (together) is ok. The whole hand (four fingers) is ok, but don't wave like the Queen as you'll look like a goose (and a novice). Just a brief flick of the finger or hand. Timing is important. You don't want to be waving after they do. It looks clumsy if you're a late waver. I've noticed that these days, truckies generally don't wave; they probably only wave to other truckies. Also, many women don't wave. However you do it, look like a seasoned waver. 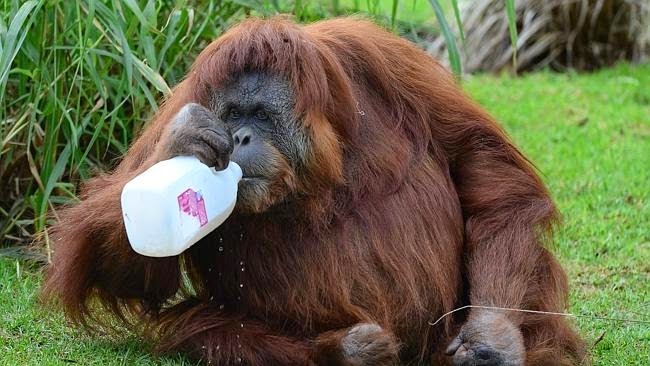 The Adelaide Zoo is suffering from a heated social media war that has erupted over the Zoo’s decision to switch ice cream brands – from palm oil free SA company Golden North to Streets which uses palm oil in its products. Golden North made the decision back in 2009 to stop using using palm oil. It seems that the Zoo simply made a commercial decision and went with a cheaper deal with foreign owned Streets. This is despite the Zoo stating in the past that it would not sell any products made from palm oil. At the time, the Zoo also stated that unless immediate action is taken Sumatran Orangutans could be extinct in the wild within 10 years as the production of palm oil increases to meet consumer demand. Over the weekend I was out delivering WatchSA (Neighbourhood Watch) newsletters in my area. I found an elderly woman sitting in her car reading the newspaper. She had backed the car out of the garage, wound the windows up and enjoyed the warmth of the afternoon winter sun. I remember it was something my parents did. Actually you should try it. It is a pleasant way to read the paper and escape the outside world. It's comfortable and the steering wheel provides support for the newspaper. It's your own private glasshouse. I used to squash caterpillars and spray fruit trees to kill them. It used to be gardening rule 101 ... kill the caterpillars. These days I'm more squeamish and step over the caterpillars and don't spray the fruit trees. Let nature take its course and leave the caterpillars alone. The outcome has been astounding. Over the past 10 years there has been a huge increase in the number of butterflies in my backyard. They tend to stay in the area where they 'emerge'. Let other life forms be and don't worry about a few holes in the spinach. Then again, I don't tolerate any resident fruit rats. Good news for the residents of Forestville and Everard Park. At the Council meeting on 28 April 2014 I moved a motion to approve a local traffic study for Forestville and Everard Park. I had negotiated this outcome during deliberations of the budget for 2014/2015. It was a hard won fight. The Residents had petitioned Council and local MP Steph Key had held meetings with the residents. The approved LATM (Local Area Traffic Management Plan ) study commenced a few weeks ago with traffic counts being recorded. You will notice recording devices in the local streets. This week I met with Council staff to review the temporary parking restrictions to be installed for 10 days during the Royal Show. These restrictions happen every year. Soon, a letter with one free parking permit will be posted to every household in the affected area ... in Wayville, Goodwood and Forestville. Residents will be invited to request additional free permits if required. Last year I noticed that due to heavy parking in Goodwood near the shops, local businesses were severely impacted. Residents were unable to park and shopped elsewhere. Businesses were adversely impacted. Consequently, I asked the Council staff to extend the parking restrictions (of 1-2 hours) further south in the side streets (on the eastern side of Goodwood Road) to enable locals to park and shop. The free permits help to make life a bit easier during the hectic Show period. Council makes a huge effort to control parking in the area. Remember that this year the Show runs for an extra day. This week work is commencing at Forestville Reserve (next to the swimming pool) to erect a huge sail over the new play area. This will be provide protection from the sun for the kids. I have pushed for this to happen before the warmer weather. I have noticed the popularity of the new play equipment, especially the in-ground trampoline. I saw a man and his son happily bouncing away. The Council elections are held every 4 years. This year the election result will be declared in early November. Postal votes will be posted in late October to every person on the electoral roll. Same process as last time. What is different this year is the mountain of legal requirements to which candidates will have to adhere ... and we're told that authorities will get tough. A tough call with approximately 1,000 candidates across the State. Using social media will be awkward, very awkward. Every tweet, Facebook/blog post, email, youtube, sms etc. will have to include the full authorisation details: position sought, name, address, who authorised it, who wrote it and how it is published - roughly 100 characters. If you're tweeting then you suddenly find that you've run out of characters with nothing much to say. The tweets and Facebook posts would be rather boring. It will cause the social media savvy candidates a lot of grief. These are the rules to which we must adhere. The advertiser reported on the carbon tax and challenged Unley Council to refund the 'tax' collected. Unley simply monitored the impact of the tax and made up for the impact. Cr Don Palmer has provided a good account. The next Council meeting is on Monday 11 August. Not only will it be a full moon, it will also be a Big Moon (aka. Super Moon). Full moons bring out some of the worst in people. Statistically is not a good time to be doing sane things. I've seen some rather weird behaviour at Council meetings during a full moon. Super full moons occur each year. A super full moon or a 'perigree - syzgy of the Earth - Moon - Sun system' is when the moon is on its closest approach to the earth in a given orbit. The Earth, Moon and Sun are all in line with the Moon in its nearest approach to the Earth. The orbit of the moon around the Earth is elliptical, not circular and at some points it is closer to the Earth. The Moon completes its orbit of the Earth every 29 days and is at its closest at around 370,000km from Earth.